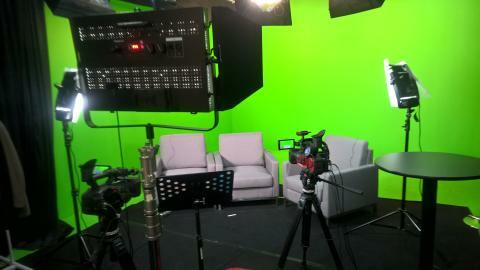 Hong Bao Media's Integrated Communications Centre in Cecil Street, Singapore, all set for a webcast. So, you've been media trained before. But the media is changing so much, so rapidly, that training you received recently might already be out of date. 1. Tougher questions - Since before he became US President, Donald Trump accused the mainstream media of being irrelevant, of writing fake news, and of plain bias. Journalists have reacted by asking harder questions and going further to substantiate their stories and to justify their angles. Watch CNN to see what I mean. Reporters are on the defensive, and the result is a more aggressive line of questioning. You must be prepared for tougher questions. How tough were the questions you faced in your last media training workshop? 2. Live webcasting - It has become increasingly popular- almost routine, even - for Senior Business Leaders to talk to their staff in a live wecast. But for most this is an entirely new experience. A webinar involves live video, but is not a traditional media interview. There is a live audience, yet it's not a seminar. The hybrid nature of webcasts, combined with the pervasive nature of Facebook Live, YouTube Live, Instagram Story, Periscope and multitude other live streaming platforms means you could be going live before you know it. Are you ready for this? 3. Content marketing - Many companies produce their own content in-house. These risk becoming glorified sales pitches. Arguably you need to work even harder to build your credibility than in a traditional media interview. Do you know how? 4. Shrinking and evolving media - ABC, Fairfax, SPH, MediaCorp and others have all let go of staff in the recent past. That means there are fewer, more stretched reporters who are inevitably not as well read as the veterans of yesteryear. This impacts your interview because of the questions you are likely to be asked. Further, even as traditional journalists are becoming fewer, there are more and more bloggers who are not bound by the same processes and quality control as traditional journalists. Have you been trained in how to deal with these? 5. Smaller cameras - Just because the crew turns up with tiny cameras (or even records on their iPhone) doesn't mean your interview can't be seen by millions of people world wide. But it does require a different approach from media guests like you. Are you aware of what this means to you? 6. All event presentations are now media, too - As a frequent emcee at business events, I cringe when I see guests on stage say things to their audience as though it was a closed-door audience. Sure, the audience might be small, but don't they see the cameras recording their presentation. To borrow from Shakespeare, "all the world's a TV camera". Appearing in the media is like playing a piano concerto: you have to practise constantly. Even as a TV presenter I found myself getting rusty after a week or two away on leave. How much more do you need to practise when you are not always in the media. Moreover, you need to keep up with the latest developments. The media is never stagnant. You shouldn't be, either.